Hamilton based Rwandan rapper Raiza Biza is coming to Whanganui for a high energy live show this December 2018. Raiza has been relentless in his touring schedule this year. Rocking stages across China, Australia and New Zealand with his Ammo Nation crew, he has been winning over audiences with his smooth baritone and contemplative storytelling flow over jazz/soul tinged beats he favours. with support from mc/dj/producer Nat Lover, NZ Hip Hop veteran Stanley Pedigree and special guests the entertainment will like christmas has come early! 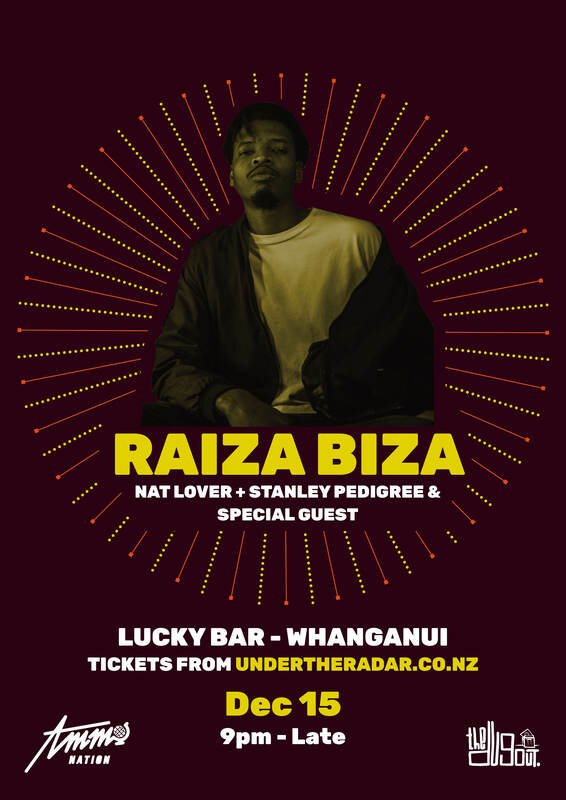 Don't miss out on catching one of New Zealands most exciting artists live and intimate at the Lucky Bar, get your pre sales now or it could sell out.